Last week we covered what need to know about washers for an onsite laundry facility for your cleanroom. Here, we will look at dryers. Up to 80% of particles are removed in the dryer, and most of them during the cool-down. Therefore, the cool-down cycle will be extended in a cleanroom dryer. Cleanroom dryers provide clean air via HEPA, ULPA, or VLSI filters. Drying time decreases as washer extraction speed and time are increased. Depending on the extraction speed of the washer and the amount of cool-down time required, loads take between 20 and 40 minutes to dry. When the supply air is cold or humid, drying time will also increase. 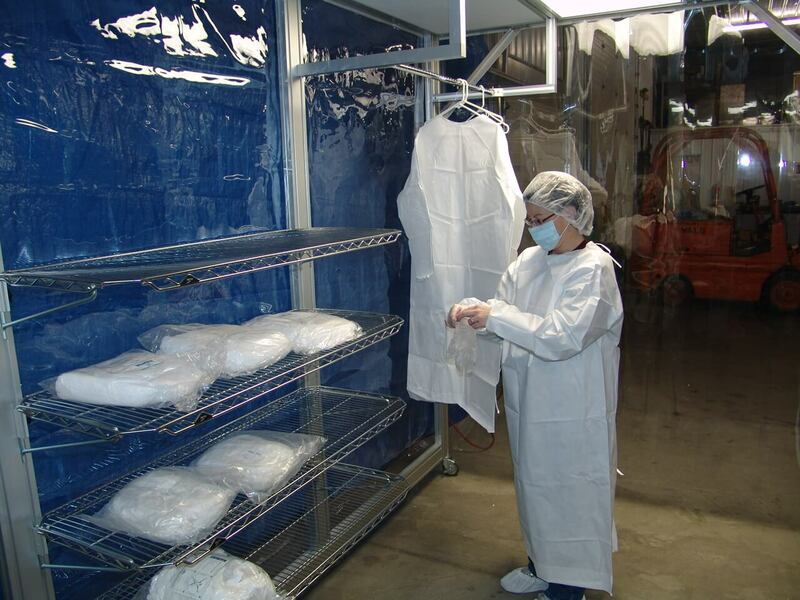 Cleanroom garments are an integral part of any controlled environment. For some, hiring a laundering service is the most efficient way to get these garments clean. For others, having onsite laundry facilities is the best answer. If you decide to clean your own cleanroom garments, here is what you need to know. Ultimately, the type of washer and features you choose will depend on your cleanroom class. Over any information you read here, make sure you consult with the appliance manufacturer or expert to ensure the one you choose meets your needs. Most cleanrooms use split pocket washers. The inner cylinder is divided into two compartments to allow for easier loading and unloading. You can separate your contents by which dryer each will go into and lump each dryer load into its own washer pocket.